A UK business has launched the world’s first entirely British designed, manufactured and installed ‘indirect’ whole body cryotherapy chamber. Marketing globally to sports clubs, health clubs and spas, the company says it is setting a new standard for safety and luxury in cryotherapy. 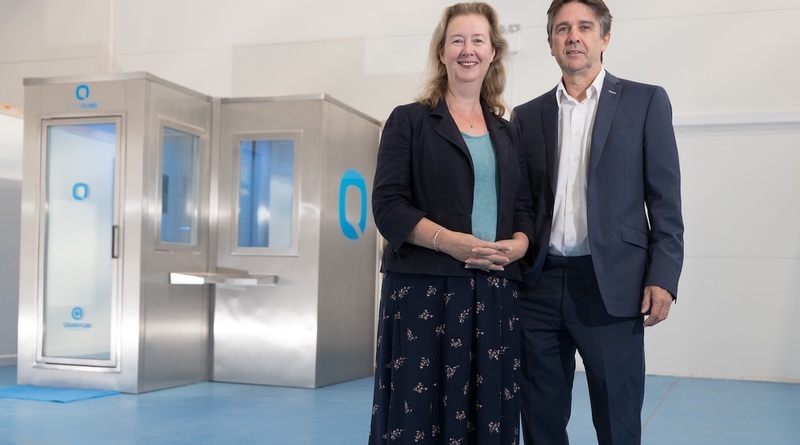 Quantum Cryotherapy is a new venture from Devon-based Quantum Cryogenics, a firm that has provided some of the UK’s leading hospitals, universities and businesses with leading-edge cryogenic control and safety systems for more than 40 years. 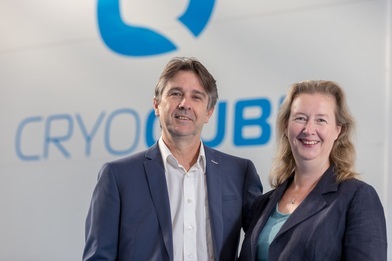 After supporting growing numbers of customers with the installation and maintenance of safety systems for whole body cryotherapy chambers, the company has created its own: CryoQube. Whole body cryotherapy plunges the user into temperatures of around -130 degrees Celsius for up to three minutes. Subjecting the whole human body to these temperatures, cools the skin to around fifteen degrees Celsius, setting off a range of responses in the body, including releasing endorphins, reducing inflammation and numbing pain. This is known to deliver a range of health and wellbeing benefits, as well as enhancing sports performance and improving recovery from muscle injury. Whole body cryotherapy is becoming more popular worldwide and among its alleged advocates are Mo Farah, Jessica Ennis and Cristiano Ronaldo, as well as celebrities such as Hugh Jackman, Jennifer Aniston and Daniel Craig. A number of premiere league football clubs now also have their own whole body cryotherapy chambers. Because many cryotherapy chambers involve the user being directly exposed to freezing nitrogen vapour, concerns have been raised about its safety. CryoQube delivers ultra-cold temperatures but uses pure super-cooled air that has been pre-chilled using liquid nitrogen. Nitrogen gas is then safely ducted away. Known as ‘indirect’ cryotherapy, it allows the whole body to be immersed in the chamber, unlike direct cooled systems where the head has to be outside of the unit. Quantum Cryotherapy has created different versions of CryoQube, to provide a range of spaces. This covers every requirement, from single individuals to an increasingly popular more sociable cryotherapy experience for two or more users. As well as creating what they describe as a “high end, premium” product, the team believes its focus on supporting customers through the entire process will be a selling point for CryoQube. The company will conduct a full survey of each potential customer’s premises, to check it is suitable for cryotherapy, as well as providing staff training and ongoing maintenance and support.